The 2018/19 Caf Champions League and Confederations Cup quarter-finalists were confirmed over the weekend after completion of the group stages. Emmanuel Okwi and defender Murushid Jjuuko helped Tanzania’s Simba come from a goal down to beat AS Vita of DR Congo to reach the Caf Champions League quarterfinals thanks to a late Cletus Chama in stoppage time. Okwi featured for 58 minutes before being substituted with Harouna Niyonzimana at Taifa Stadium in Dar es salaam. Denis Onyango helped Mamelodi Sundowns qualify for the Caf Champions League quarter-finals despite a 1-0 defeat to Wydad Casablanca in Morocco. 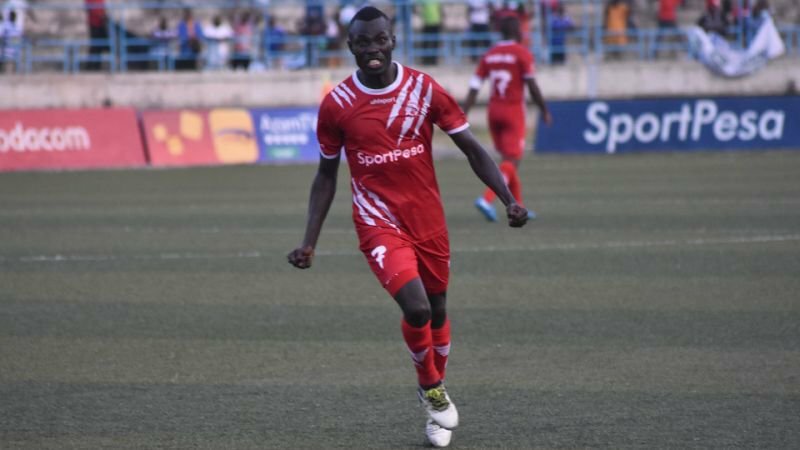 Erisa Ssekisambu was brought on in the 85th minute in the place of Nicholas Kipkirui while Shafik Batambuze started the match and was shown a red card in the 74th minute. Jacques Tuyisenge’s penalty 12 minutes into the second half proved enough to send Gor through. Goalkeeper Salim Jamal Magoola played 90 minutes as his side Al Hilal defeated Zambia’s Nkana FC 4-1 in Omdurman Sudan to seal progression to the quarter-finals of the Caf Confederations Cup. The quarter-finalists for Caf Champions League: Mamelodi Sundowns (SA), Simba (Tanzania), CS Constantine (Algeria), Al Ahly (Egypt), Wydad Casablanca (Morocco), TP Mazembe (DR Congo), AC Horoya (Guinea) and Esperance (Tunisia). Qualified teams for Confederations cup quarter-finals: RS Berkane (Morocco), Hassania Agadir (Morocco), Gor Mahia (Kenya), AL Hilal (Sudan), Zamalek SC (Egypt), ES Sfaxien (Tunisia), Etoile du Sahel (Tunisia) and Nkana FC (Zambia). The final will be held on 19th and 26th May 2019. The first legs and second legs of the quarter-finals will be played on 5th and 12th April respectively. The winners of the 2018–19 CAF Confederation Cup earn the right to play against the winners of the 2018–19 CAF Champions League in the 2019 CAF Super Cup. Raja Casablanca are the defending champions. The final eight draw is scheduled to take place at CAF’s headquarters on Wednesday 20 March 2019.